Weather forecast information today is everywhere from mobile phone apps to the news update airing on your television. The presence of such timely information may distract one from exploring air pressure instruments when travelling. But wait a minute; this antique barometer can actually fit in your pocket. 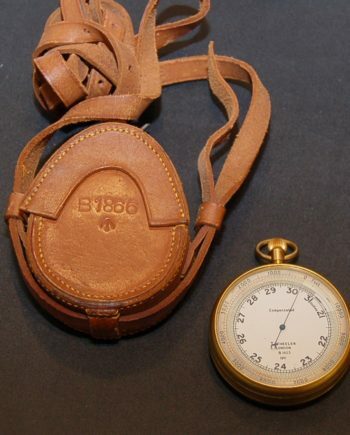 Pocket barometers started emerging in the early 1800s. They followed from the invention of a watch like, metallic, airtight vacuum case, the lid of which, sustained by internal springs, rises and falls under variable pressures. 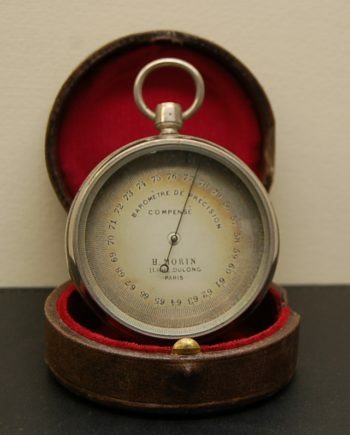 The invention – by M. Compte, Professor of Aerostatics in Paris, has a working undoubtedly similar to that of antique aneroid barometers. Subsequent developments by English makers reduce the size of this barometer and suitably engrave a dial. The accuracy and readout were made easy and could show changes as little as 1-1000th of an inch pressure. 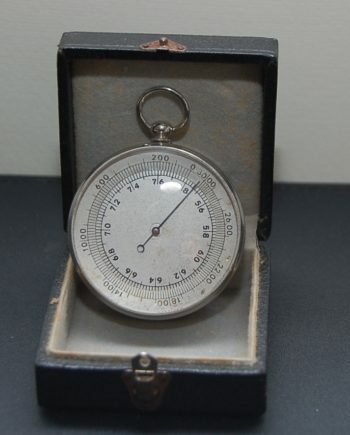 The pocket barometer can be classified into Traditional and Digital. Digital pocket barometers come in form of mobile phone phones. 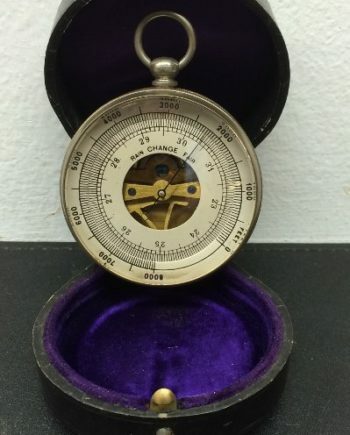 Traditional pocket barometer (now vintage or antique) consists of an altimeter scale and brass or gold casing. The inside has a concentric scale calibrated in barometric inches and annotations of basic weather observations on the outer scale. They come with a suspension ring, machined bezel, and engraved inscription that mostly denote the manufacturer. Traditional London maker L Casella, Maker to the Admiralty & Ordnance, features prominently. 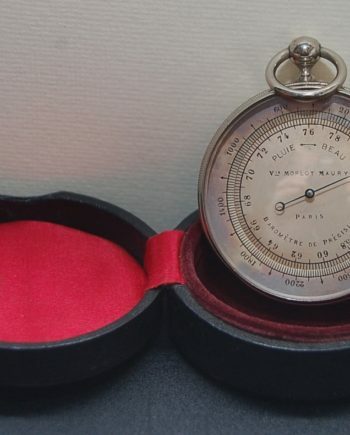 Other manufacturers of the pocket barometer included Negretti & Zambra, Carpenter & Wesley, and Short & Mason among others. French makers Maxant is the largest maker of the barometer outside the United Kingdom. It is important to note that some of the instruments have the altimeter and casing made by different manufacturers. Popular casing makers include William Smiley, Albert Thomas Oliver (London), Richard Oliver and so on. 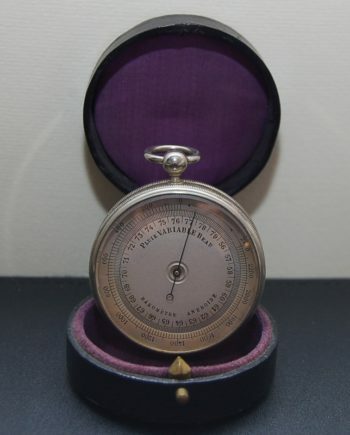 We have many antique pocket barometers for sale. If you find it difficult to get what you are looking for, kindly inform us and we shall be glad to do the sourcing for you. We are located in Perth, Australia. Nevertheless, we serve both nationally and internationally, such as Australia, UK, Ireland, and the USA.